Beirut (AFP) - Syrian rebel groups allied with Al-Qaeda fought on Wednesday to advance on a key military headquarters near President Bashar al-Assad's coastal heartland, a monitor said. The Islamist rebels, including fighters from Central Asia and Chechens as well as jihadists from Syria's Al-Qaeda branch Al-Nusra Front, were pressing an advance on the village of Jureen, the Syrian Observatory for Human Rights said. It said rebels had seized Bahsa village, less than two kilometres (1.2 miles) from Jureen, in heavy fighting. Perched on a plateau in the central province of Hama, Jureen stands between Sahl al-Ghab, a plain where Assad's army has for several days been fighting the rebels, and the pro-Assad coastal province of Latakia to the west. 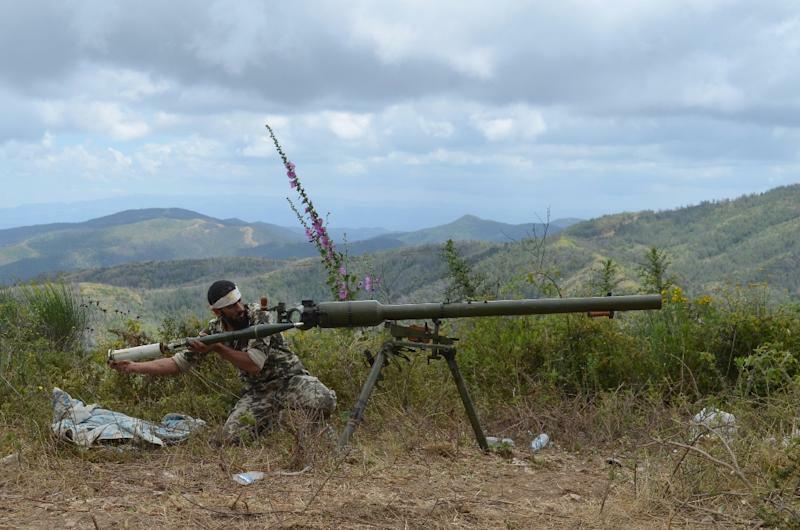 The Observatory said fighting in the Sahl al-Ghab area on Wednesday cost the lives of 35 rebels, mostly from Al-Nusra Front, and 29 soldiers and pro-regime militiamen. The Syrian military and its allies -- including Iranian officers and fighters with Lebanese Shiite movement Hezbollah -- have set up a military headquarters in Jureen to oversee the battle for the plain. 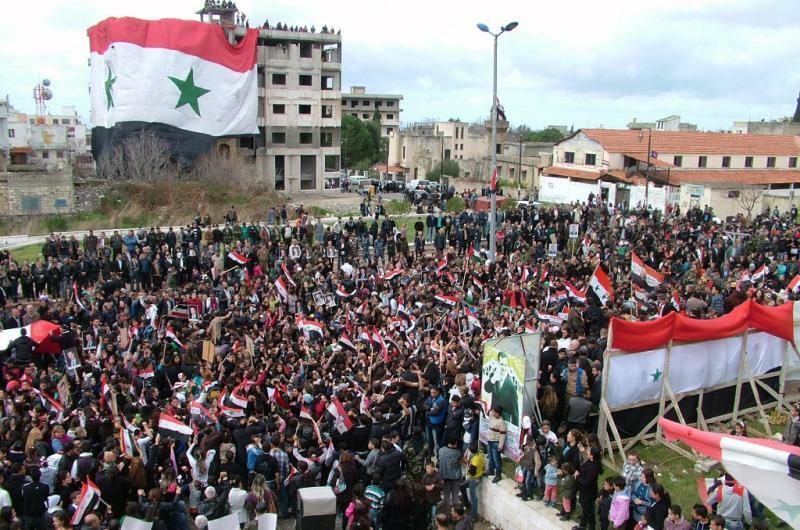 If the rebels manage to capture Jureen, they will be able to advance into the mountains of Latakia and bomb several communities from Assad's Alawite sect, an offshoot of Shiite Islam. Among them would be Qardaha, Assad's ancestral town and home to the tomb of his father and predecessor Hafez al-Assad. "It will then be an existential battle for the Alawites," Observatory chief Rami Abdel Rahman said. "There are calls for Alawite youth to take up arms and to defend the areas surrounding Jureen." The Britain-based Observatory relies on a wide network of activists, medics and fighters throughout Syria to gather information on the conflict. A military source on the ground said the aim of the rebels is "to reach the (Mediterranean) coast from the east". Since the end of March, the army has suffered a series of setbacks in the northwest, with the rebels repelling them from almost all of Idlib province to the north of Sahl al-Ghab. The rebels have advanced south since the end of July and launched an offensive in Sahl al-Ghab. Assad's regime has been at war against different rebel groups for the past four years, in a conflict that has so far killed at least 230,000 people.